After a Church of Scientology-backed group helped organize a campaign against it, Gov. Greg Abbott vetoed legislation that would have given Texas doctors more power to detain mentally ill and potentially dangerous patients. After a Church of Scientology-backed group helped organize a campaign against it, Gov. Greg Abbott vetoed legislation that would have given Texas doctors more power to detain mentally ill and potentially dangerous patients, according to records obtained by The Texas Tribune. The governor's early June veto of Senate Bill 359 caught many of the measure’s proponents off-guard. The legislation had sailed through the House and Senate with little debate and only a handful of negative votes — and during committee hearings in both chambers, a range of mental health advocates, medical groups and law enforcement officials showed up to testify in its favor. Intended to provide a window of protection for doctors who sometimes find themselves choosing between illegally holding mentally ill patients and letting them leave with the real possibility they might be a danger to themselves or the community, the legislation would have allowed hospitals to retain patients for up to four hours, allowing law enforcement to arrive and evaluate the situation. “This bill applies to a very small group of patients — those who voluntarily seek services at a hospital or emergency department, decide to leave the facility, but the physician has determined he or she poses a potential imminent danger to self or others. This is a high bar. Very few patients will meet it,” said a letter jointly signed by Texas Medical Association President Tom Garcia and Texas Society of Psychiatric Physicians President Daniel Pearson. But after the bill passed, a coalition quickly mobilized to work behind the scenes urging Abbott to kill it. In a letter hand-delivered to the governor’s office on May 20, the “SB 359 Veto Coalition” said the bill threatened the “delicate balance” between providing “access to humane care and treatment for persons suffering from mental illness and safeguarding the person’s legal right." It characterized the bill as granting “sweeping powers” to hospitals that could lead to fraudulent mental health detentions and threaten a patient’s right to refuse medical care. Among groups signing on to the letter was the Citizens Commission on Human Rights, which had opposed the bill from the start. The anti-psychiatry group was founded by the Church of Scientology in 1969 to serve as a “mental health watchdog” dedicated to taking a stance against "the biological/drug model of 'disease' that is continually promoted by the psychiatric/pharmaceutical industry as a way to sell drugs," according to the group’s website. “It was really just a matter of making calls to the different groups, and going 'Hey, what do y’all think?' or them calling us … and we just decided not to let it go,” said Lee Spiller, a CCHR lobbyist. “These are all basic rights-related issues," he said. "These are not partisan issues." Others lending their names to the letter included the Texas Home School Coalition, the League of United Latin American Citizens, the anti-vaccine group Parents Requesting Open Vaccine Education and Texans for Accountable Government, a libertarian organization currently campaigning to stop water fluoridation in Austin. Marcelo Tafoya, LULAC’s deputy state director, said he participated in the veto campaign because he feared the bill’s consequences for the “majority of the Latino community” that receives health care from hospital emergency rooms. The letter was signed by Johana Scot, executive director of the Parent Guidance Center, a group that helps parents regain custody of children who have been taken by Child Protective Services. Scot declined to give details about how the veto alliance was formed, and questioned the relevance of CCHR's link to Scientology. Abbott’s office did not respond to questions about Spiller’s message to the first lady or his veto of SB 359. In his veto statement, Abbott echoed concerns noted in the coalition’s letter, saying he objected to the bill because it raised “serious constitutional concerns” and that medical facilities already had options to protect the mentally ill and the public. 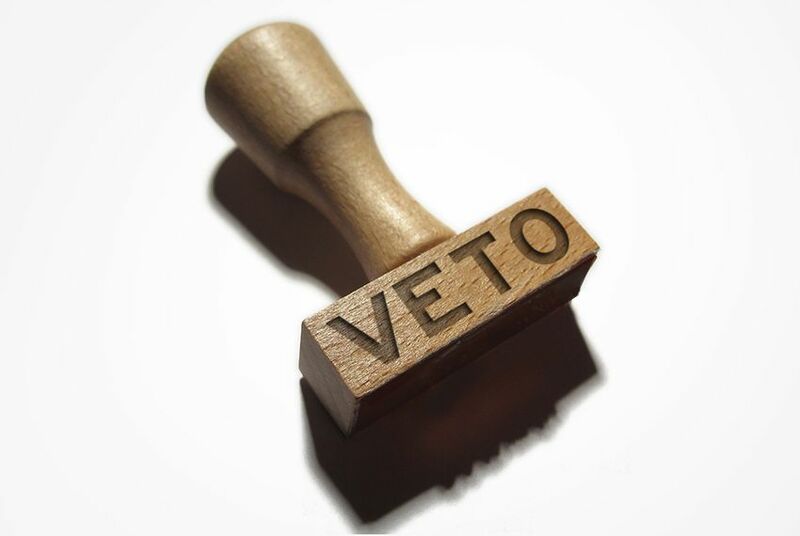 The veto came despite messages of support for the bill from various factions within the medical community, including the Parkland Hospital System, the Texas Society of Psychiatric Physicians and the Texas Medical Association. When the veto became public, it perplexed many of the legislation’s supporters, who said they had not heard concerns from the governor’s office prior to its passage. After Abbott announced the veto, the Texas Medical Association issued a statement saying the governor "should have reached out to physicians and other medical personnel who provide care in the real world of our emergency rooms before vetoing this legislation." Garcia, the TMA president, said the group was "extremely disappointed” because the bill “would have saved lives, provided short-term help for people with mental illness and actually would have kept some of them out of forced imprisonment." Mary Jensen, executive director of the San Antonio branch of the National Alliance on Mental Illness, who worked to shore up support for the bill throughout the legislative process, said she was “very surprised” by the veto.